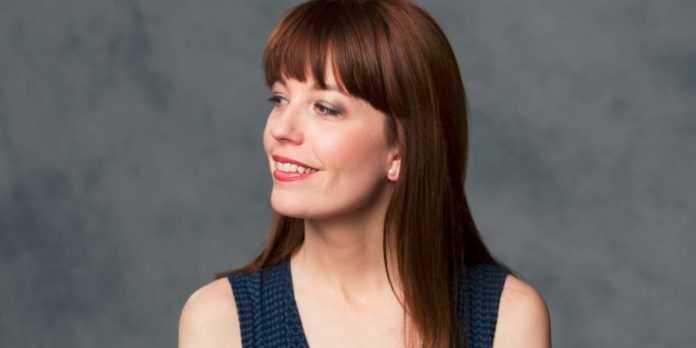 Announced as the new artistic director for Vancouver’s Arts Club Theatre Company, Ashlie Corcoran will take up the role in October. On the phone from Gananoque, Ontario, Corcoran talked about returning to her hometown, early recollections of the Arts Club, priorities as she moves into the role, and thoughts on diversity in theatre. It is like a dream come true to get to run this amazing institution that’s been left with in such a strong position by Bill Millerd. And get to live in my hometown, with my family. So yeah, it’s a wonderful thing. What was the impetus for applying for the role? Was it to come back to Vancouver? Had that always been a goal of yours? It’s always been a goal of mine, yes. When I told my best friend from high school, she said, “what, has the long-term goal finally come to fruition?”. I left B.C. 20 years ago this fall to go to university. Since then, I’ve always said that I would love to come back, but it’s hard in my job to just move back. So, when this opportunity presented itself, I was so excited about it. Did you ever think your return to Vancouver would be to lead an organization like the Arts Club? I mean, in my dreams, for sure. Some people use the word ambitious to describe me, I use the word determined. I love my work, it’s the passion in my life. Dreaming about leading an arts organization like this is something that I have done, and certainly the goal to be the artistic director of a large regional theatre has been my goal all along. As well as having a goal of moving back to B.C. I didn’t necessarily think that those two goals were going to line up. My career determination and passion has led me to live literally all over the world. I felt that I knew I would one day be leading an organization of this caliber and size, but I didn’t necessarily think that I would be lucky enough, and the timing would work out, that it would be the Arts Club. So, it is a real dream. You grew up in White Rock. When did you leave? The fall of 1997. I was 18. I had just left to go away to university. So, it will be 20 years from the time I left. Did you attend the Arts Club when you were living here? I did attend growing up. Also, when I would come home from university and became more, and more passionate about theatre, I definitely saw more works then. An important production for me was She Loves Me, which is a musical that I completely fell in love with, a show Morris Panych and Ken MacDonald had directed and designed. And it’s a show that, three or four years ago, that I directed here at Thousand Islands and made such an impact on me. Does that mean She Loves Me will come back in a future season? I don’t think that She Loves Me will be my first season. As much as I love that show. I’d love to direct it again sometime. You know, never say never, so it might end up back on the stage of the Stanley. Speaking of the coming season, I know it’s very early days, but what do you see as your priority as you take over the artistic director role? Part of the application process was to present a season. I had twenty minutes to talk about 17 shows. So, instead of ramming through each of those shows quickly and talking about everything I could about them, I presented my season in terms of my six programming objectives instead. One is to continue developing local artists. Two is to celebrate new play development and innovative practices. Three is to broker institutional collaborations so they are co-productions of all types. Four is to strengthen diversity on and off the stage. Five is to create immersive and participatory experiences for our audience. And then six is to aim for the highest level of artistic excellence through a wide breadth of programming. I think that they’re all things every theatre company, specifically the Arts Club, should be doing. It’s ambitious but, you know, programming a season is not just about picking a title that you like. It’s about treating it inside your larger goals. And that is exactly what the Arts Club has been doing and I’m going to continue to be doing it because that’s what creates longevity, that’s what creates an audience that cares about you, and that’s what creates a talented pool of artists that work for your theatre. And that’s what inspires support of all kinds, emotional and financial support. It’s important to me when I’m programming to think about these things in that kind of way. You mentioned part of the application process was to present a season. Does that mean the season you presented is now locked in? No, that’s just me saying these are the kinds of plays that I would direct. And I don’t know, as I wasn’t on the selection committee, but I imagine they’re probably more interested in the why and how you communicate than the actual plays. Because, when you’re programming a season you can put together a list of plays, but the actual programming happens when you start budgeting and scheduling and looking at logistics. So, no, nothing is locked. That was just an exercise. Can you give us the scoop and tell us one of the shows you’re think about in your first season? No, I can’t give you the scoop. We haven’t even started, and there is still so much for me to learn. And that’s why I would never assume that this season that I presented would be something that I would do, because now I want to get in there and learn from the inside out. I have those ideas with me and I’m sure some of them will end up as part of the season, but we’re just at the very beginning. You had mentioned one of your goals is around diversity. You are probably aware diversity is a big talking point right now here in Vancouver. Do you have any idea, at this stage, how diversity will play out in the season you program? Well it is like this magic bullet for the “question” of diversity but, for me, it’s not about that. It is our responsibility and our opportunity to reflect the community in which we are creating work. And so, that’s exciting to me. And it’s exciting to me to have different voices, different perspectives in the background, honest speech as the creators, whether that be the playwrights or the directors and designers of the work, as well as within the organization itself. I know a lot about Vancouver, but I still have a lot left to learn and I’m excited about arriving and engaging with the community and learning about what physically makes it more diverse. And then, thinking about it from that holistic perspective. For me it’s not a programming objective because it is a talking point, it’s a programming objective because it’s vital to health of the organization and it’s also how I see the world. And a big part of being an artistic director is being put in that jurisdiction and, for me, ethnicity and diversity are values that I live my life by. There will be many people in the local theatre community and beyond who will be thrilled a woman is taking over the role. Do you see it as a step towards diversity? Does gender play a role at all in terms of what you’re thinking about? I would love for our organization to have gender parity, and so that’s part the programming, looking to make sure that there are a multitude of voices. I think what’s important while we’re talking about gender is to not always think about it in the binary. I am the person that I am and I have many different identities. The job you always wanted as a child? The one thing you are most looking forward to when you return to Vancouver? Getting to see my Grandma whenever I want. If you were not doing what you’re doing now, what would you be doing? I’d be a radio producer. A play called, The Ugly One. Hard work, and being part of a network. If you could go back in time, what would you tell your 20-year-old self? That it’ll all be okay. Last question, to be or not to be? Oh, to be. Do people actually say “not to be”?